ONLINE STUDIO VISITS — . In 2017, Y.ES launched an online studio visit program inviting art professionals, with priority to Y.ES Art Trip alumni, to conduct online studio visits with artists living in El Salvador whose work they are interested in. The program focuses on crossing borders and promoting continued dialogue following initial introductions. Please contact us if you are an arts professional interested in participating. En 2017 Y.ES lanzó un programa de visitas de estudios en línea invitando a profesionales del arte, con prioridad para los antiguos alumnos del Y.ES Art Trip, para conducir visitas de estudio en línea con artistas viviendo en El Salvador cuyos trabajos les interesan. El programa se enfoca en cruzar fronteras y promover el diálogo continuo siguiendo las introducciones iniciales. Por favor contáctanos si eres un profesional del arte interesado en participar. In 2015, Bryan Barcena became a research assistant for Latin American art at MOCA, and co-curated the museum’s Anna Maria Maiolino survey, part of the Getty Foundation–funded Pacific Standard Time: LA/LA initiative, and an exhibition of new works by Adrián Villar Rojas. From 2013 to 2016, he was a curatorial assistant at the Institute of Contemporary Art, Boston. Simón Vega creates drawings, ephemeral sculptures and installations inspired in the informal, self made architecture and vendor carts found in the streets and marginal zones of El Salvador and Central America. Read more about Simon here. Salvadoran artist Ernesto Bautista and curator and writer Josseline Pinto of Manifesto Espacio connected online for a YES studio visit. Bautista recently returned to El Salvador from Colombia where he completed a Flora Ars+Natura International Artist Residency. During the residency he researched and worked on an exhibition as well as a new series of works which he shared with Josseline. Based in Guatemala City, Josseline Pinto visited El Salvador as part of a YES Art Trip and regularly shows artists affiliated with the country in her space. She also won the 2018 YES Arts Writers grant for her article on the work of Simón Vega. El artista salvadoreño Ernesto Bautista y la curadora y escritora Josseline Pinto de Manifesto Espacio se conectaron en línea para una visita de estudio YES. Bautista regresó recientemente a El Salvador desde Colombia, donde completó una residencia de artista internacional de Flora Ars+Natura. Durante la residencia, investigó y trabajó en una exposición, así como en una nueva serie de obras que compartió con Josseline. Procedente de la Ciudad de Guatemala, Josseline Pinto visitó El Salvador como parte del viaje de arte de YES y regularmente muestra artistas afiliados al país en su espacio. También ganó la subvención para escritores de arte YES del 2018 por su artículo sobre la obra de Simón Vega. Artist Guadalupe Maravilla (formerly Irvin Morazan) and curator Alexia Tala will be sharing ideas between Virginia and São Paulo as part of YES's online studio visit program. 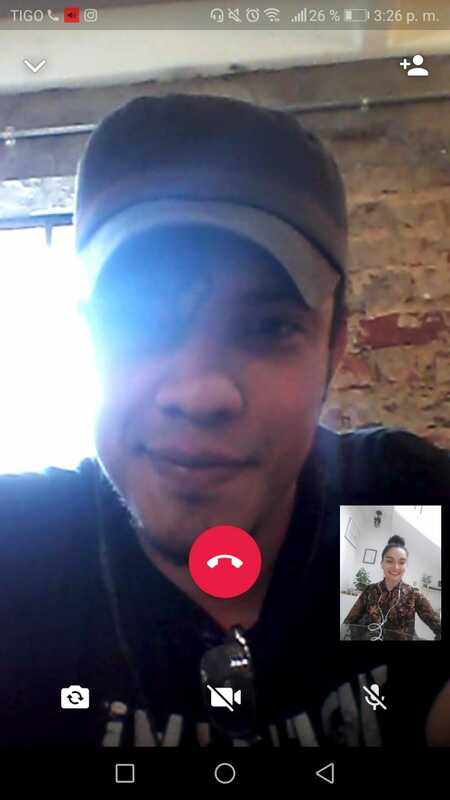 Guadalupe recently performed and exhibited his work at the Whitney Museum in New York, and Alexia is a writer, curator and the former and upcoming curator of the Paiz Biennial in Guatemala. See more of Guadalupe Maravilla's work here. Read more about Alexia Tala here. El artista Guadalupe Maravilla (anteriormente Irvin Morazán) y la curadora Alexia Tala compartirán ideas entre Virginia y São Paulo como parte del programa de visitas de estudio en línea de YES. Guadalupe recientemente realizó y exhibió su trabajo en el Museo Whitney en Nueva York, y Alexia es escritora, curadora de la próxima de la Bienal de Paiz en Guatemala. Ver más del trabajo de Guadalupe Maravilla aquí. Lea más sobre Alexia Tala aquí. Salvadoran artist Fredy Solano (Póker), now based in Madrid Spain, spoke with Museum of Art + Design, Costa Rica Chief Curator Daniel Soto Morúa about his practice, and his latest light intervention project "Through a horizon without a body" commissioned by the Cultural Department of the City of Galicia, Spain.See more of Fredy Solano's intervention projects here. El artista salvadoreño Fredy Solano (Póker), que reside en Madrid, España, habló con Daniel Soto Morúa, jefe curador del Museo de Arte + Diseño en Costa Rica, sobre su práctica y su último proyecto de intervención ligera "A través de un horizonte sin cuerpo "encargado por el Departamento Cultural de la Ciudad de Galicia, España. Vea más de los proyectos de intervención de Fredy Solano aquí. Daniel Soto Morua has been the chief curator at the Museum of Contemporary Art and Design (MADC) in Costa Rica, where he is focused on developing new programs in design, visual arts and communication. He is an official member of the International Council of Museums (ICOM Costa Rica) and has worked in different design, marketing, contemporary and ethnographic art institutions, including San Ramon Regional Museum (2012-2015) and Jacob Karpio Gallery (Costa Rica, 2005-2006). He also participated in a museology internship at the Museo Comarcal Velezano José Guirao (Spain, 2012). He has a Master’s degree in Museology from the Granada University, Spain; and a Bachelor's degree in Graphic Design from the University of Costa Rica, an institution where he worked as a professor (2008-2015). Here he directed courses and practical-theoretical workshops in cultural heritage and visual arts. Additionally, he has a Master’s degree in Communication Media Administration with an emphasis in ICT by the Distance State University, where he works as a professor for the Master’s degree in Business Administration program (2012-present). In both educational centers, he has worked as a director and reviewer for both undergraduate and postgraduate projects. Mauricio Kabistan (Nicaragua, 1980) lives and works in El Salvador and is a founder and member of the Fire Theory collective. He most recently participated in ICE curated by Omar López-Chahoud at Open Source Gallery in Brooklyn, New York; DIOS UNION LIBERTAD, curated by Omar López-Chahoud at Prosjektrom Normanns in Stavanger Norway; in the X BIENAL CENTROAMERICANA, curated by Tamara Díaz Bringas in San Jose, Costa Rica. He has also participad in ARTE EN LAS CALLES, organized by the Fundación Rozas-Botrán in Guatemala City; RELOCATING SAL curated by MARTE-C at HilgerBROTKunsthalle in Vienna, Austria; VOCES INDÍGENAS at the IILA Pavilion as part of the 56th Venice Biennial, among many others. 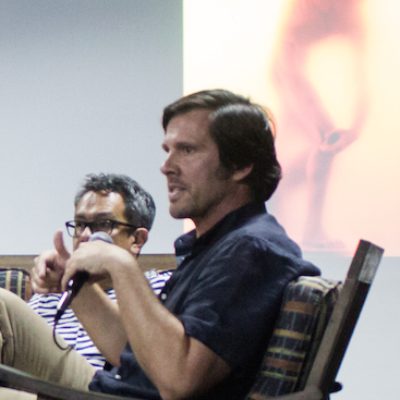 Daniel Soto Morúa es curador jefe en el Museo de Arte y Diseño Contemporáneo (MADC) de Costa Rica desde 2016, centro donde ha concentrado su labor en el desarrollo de nuevos programas de diseño, artes visuales y comunicación. Es miembro oficial del Consejo Internacional de Museos (ICOM Costa Rica) y ha trabajado en distintos sitios de diseño, marketing y centros de arte contemporáneo y etnográfico, como el Museo Regional de San Ramón (2012-2015) y la Galería Jacob Karpio (Costa Rica, 2005-2006); también realizó prácticas museológicas en el Museo Comarcal Velezano José Guirao (España, 2012). Mauricio Kabistán vive y trabaja en El Salvador, es miembro fundador del colectivo The Fire Theory. Sus participaciones recientes incluyen ICE, curada por Omar López-Chahoud en Open Source Gallery, Brooklyn, Nueva York; DIOS UNIÓN LIBERTAD, curada por Omar López-Chahoud en at Prosjektrom Normanns en Stavanger, Noruega; la X BIENAL CENTROAMERICANA, curada por Tamara Díaz Bringas en San José, Costa Rica. Además ha participado en ARTE EN LAS CALLES, organizada por la Fundación Rozas-Botrán en Ciudad de Guatemala; RELOCATING SAL curada por MARTE-C en HilgerBROTKunsthalle en Viena, Austria; VOCES INDÍGENAS en el Pabellón IILA como parte de la Bienal de Venecia n° 56, entre muchas otras. Vivian Pfeiffer is the Deputy Chairman, Americas and Head of Business Development at PHILLIPS. Prior to PHILLIPS, Ms. Pfeiffer worked at Christie’s and was instrumental in building the company’s success in Latin American Paintings. Most recently, she was SVP and Managing Director for Christie’s North and South American Regional offices, as well as International Senior Contemporary Art Specialist. During her early tenure as Regional Director in the Latin American Paintings Department, she contributed to the success of the growing collecting field and was instrumental in the sale of many major works. In 1993, she organized the first Latin American Paintings benefit sale in New York City to raise funds for AIDS research. Ms. Pfeiffer holds a B.S., B.A. and an M.B.A. from the University of Hartford. Simón Vega creates drawings, sculptural installations and happenings inspired by local markets, self-made-architecture and vendor carts found in Central America. These works parody Cold War spaceships and capsules, Mayan pyramids, Modernism's iconic buildings and contemporary surveillance systems, creating a humorous fusion between first and third worlds. Born in El Salvador in 1972, Simon Vega graduated in Fine Arts at the University of Veracruz in Mexico in 2000 and received a Master´s degree in Contemporary Arts from the Complutense University in Madrid in 2006. He has exhibited his work extensively in Europe, the United States and Latin America, including the 55th Venice Biennial in Italy (2013), the IX Havana Biennial, in Cuba (2006), El Museo del Barrio's "The S-Files" show in New York (2011) and at the Hilger BROT Kunsthalle in Vienna, Austria, amongst others. Este mes de Febrero, Vivian Pfeiffer hablará con Simón Vega sobre su trabajo y sus próximos proyectos. La Sra. Pfeiffer visitó El Salvador en 2017 como parte del viaje artístico de YES. Vivian Pfeiffer es la Vicepresidenta de las Américas y Jefa de Desarrollo de Negocios en PHILLIPS. Antes de PHILLIPS, la Sra. Pfeiffer trabajó en Christie`s y fue una pieza clave en la construcción del éxito de la compañía en pinturas latinoamericanas. Más recientemente, fue vicepresidenta y directora general de las oficinas regionales de Christie's en Norteamérica y Sudamérica, así como especialista internacional de arte contemporáneo. Durante su primera etapa como Directora Regional en el Departamento de Pintura Latinoamericana, contribuyó al éxito del creciente campo de la colección y fue fundamental en la venta de muchas obras importantes. En 1993, organizó la primera venta a beneficio de pinturas latinoamericanas en la ciudad de Nueva York para recaudar fondos para la investigación del SIDA. La Sra. Pfeiffer tiene Licenciaturas en las ramas de Ciencias y Artes y Maestría en Administración de empresas de la Universidad de Hartford. Simón Vega crea dibujos, instalaciones esculturales y sucesos artísticos inspirados en mercados locales, su arquitectura improvisada y carretones de ventas ambulantes que se encuentran en América Central. Estas obras parodian las naves espaciales y cápsulas de la Guerra Fría, las pirámides mayas, los edificios icónicos del Modernismo y los sistemas de vigilancia contemporáneos, creando una fusión cómica entre el primer y el tercer mundo. Nacido en El Salvador en 1972, Simón Vega se graduó en Bellas Artes en la Universidad de Veracruz en México en 2000 y realizo una Maestría en Artes Contemporáneas de la Universidad Complutense de Madrid en 2006. Ha exhibido su obra extensamente en Europa, Estados Unidos y América Latina, incluyendo la 55a Bienal de Venecia en Italia (2013), la IX Bienal de La Habana, en Cuba (2006), el "The S-Files" del Museo del Barrio muestra en Nueva York (2011) y en Hilger BROT Kunsthalle en Viena, Austria, entre otros. Sandino Scheidegger, Curator of Despacio in Costa Rica and co-founder of Random Institute in Switzerland, Reunion in Zurich and Tropical Kunsthalle in Iceland. 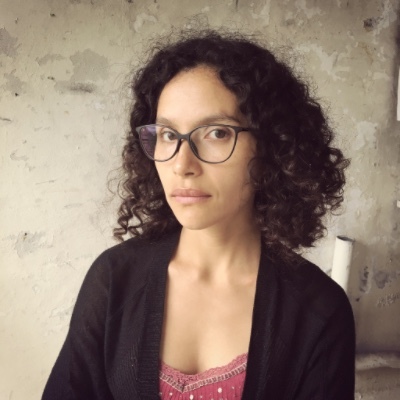 Natalia Domínguez’s work focuses on performance that activates public participation, and she collaborates on projects related to education, criticality and experimentation as an art process. Her work has been shown in Guatemala, Costa Rica, Honduras, Nicaragua, Puerto Rico, Argentina and Mexico, and was included in Landings Project, curated by Joan Duran from 2007-2009, and exhibited in Taiwan, Washington DC and Cuba. Her work can be viewed here. Sandino Scheidegger, Curador de Despacio en Costa Rica y cofundador de Random Institute en Suiza, Reunión en Zurich y Kunsthalle Tropical en Islandia. El trabajo de Natalia Domínguez se centra en performances que activan la participación pública, y colabora en proyectos relacionados con la educación, la criticidad y la experimentación como un proceso de arte. Su trabajo se ha exhibido en Guatemala, Costa Rica, Honduras, Nicaragua, Puerto Rico, Argentina y México, y se incluyó en Landings Project, curado por Joan Duran de 2007 a 2009, y expuesta en Taiwán, Washington DC y Cuba. Su trabajo se puede ver aquí. 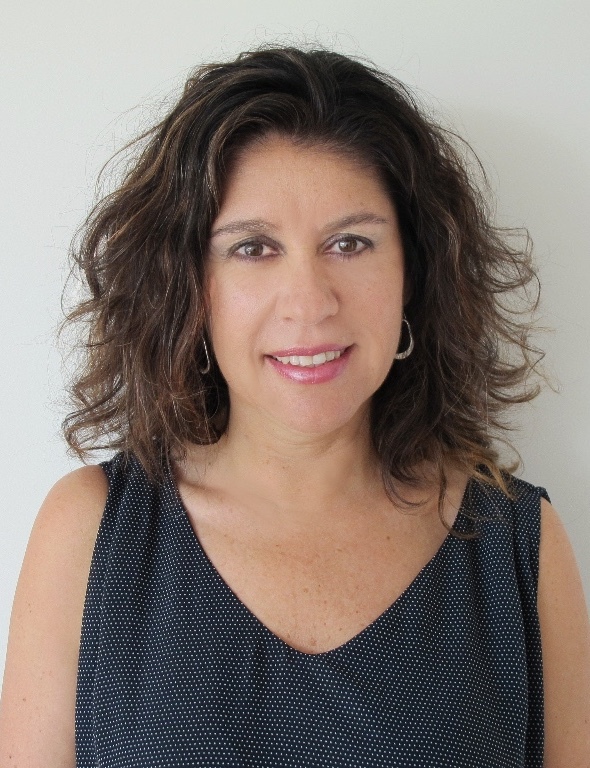 Tami Katz-Freiman is an art historian, curator and critic, based in Miami, Florida. From 2005-2010 she was the Chief Curator of the HMA (Haifa Museum of Art) in Israel. She started her curatorial practice in 1992 and over the years she has curated numerous group and solo exhibitions in prominent museums in Israel and the US, where she lived and worked between 1994 and 1999. Recently she curated Sun Stand Still by Gal Weinstein for the Israeli Pavilion in the 57th International Art Exhibition (2017), La Biennale di Venezia. Tami Katz-Freiman es historiadora de arte, curadora y crítica, con base en Miami, Florida. Del 2005 al 2010 fue la Jefe Curadora del HMA (Museo de Arte de Haifa) en Israel. Comenzó su práctica curatorial en 1992 y a lo largo de los años ha curado numerosas exposiciones colectivas e individuales en importantes museos de Israel y Estados Unidos, donde vivió y trabajó entre 1994 y 1999. Recientemente, curó Sun Stand Still de Gal Weinstein para El Pabellón Israelí de la 57ª Exposición Internacional de Arte (2017), La Biennale di Venezia. Albertine Stahl es una artista salvadoreña radicada en Costa Rica. Con formación en pintura, también es conocida por sus trabajos a gran escala en medios mixtos, video y sonido. Su trabajo se inspira principalmente en los medios de comunicación, la cultura pop y la catástrofe como paisaje. Su obra forma parte de importantes colecciones en Centroamérica y Colombia. Max Weintraub (USA) is Director of the Art Galleries at the Herron School of Art and Design in Indianapolis. Max holds a Ph.D. in modern and contemporary art from Bryn Mawr College, and has worked in curatorial and educational departments at the Denver Art Museum, the Philadelphia Museum of Art, the Whitney Museum of American Art, and the Museum of Modern Art. Max’s essays on Bruce Nauman, Robert Barry, William Anastasi, William Kentridge, Giambattista Tiepolo, and others have appeared in books, academic journals and scholarly volumes, and exhibition catalogues. Abigail Reyes (El Salvador) studied graphic design and is a visual artist and poet. She recently participated in X Central America Biennale with her work about the role of secretaries, as well as the Rapaces residency in Nicaragua. She has had solo exhibitions at Museo de Arte y Diseño Contemporáneo in Costa Rica, Museo de Arte de El Salvador (MARTE), Manzanita Hall Gallery at California State University Northridge, Espacio L / CCE, San Salvador and gallery Lokkus Arte Contemporáneo in Medellin. She has participated in group exhibitions at Teorética in Costa Rica, Taimiao Art Gallery Beijing, as well as in Miami, Nicaragua, El Salvador, Colombia and Guatemala. In she received an honorable mention in the contest Sumarte in 2016 and 2014, in 2012 she won first place in the contest of IpsoFacto poetry. Max Weintraub es Director de las Galerías de Arte en la Escuela Herron de Arte y Diseño en Indianápolis. Max tiene un Doctorado en arte moderno y contemporáneo del Bryn Mawr College, y ha trabajo en los departamentos de curadoria y educación en el Museo de Arte de Denver, el Museo de Arte de Filadelfia, el Museo Whitney de Arte Americana, y el Museo de Arte Moderno. Los ensayos de Max acerca de Bruce Nauman, Robert Barry, William Anastasi, Willian Kentridge, Giambattista Tiepolo, entre otros han aparecido en libros, periódicos académicos y volúmenes escolares, y catálogos de exhibición. Abigail Reyes (El Salvador) estudió diseño gráfico y es poeta y artista visual. Recientemente participó en el la Décima Bienal de Centroamérica con su trabajo acerca del rol de las secretarias, así como la Residencia Rapaces en Nicaragua. Ha tenido exhibiciones individuales en el Museo de Arte y Diseño Contemporáneo en Costa Rica, Museo de Arte de El Salvador (MARTE), Manzanita Hall Gallery en la Universidad Estatal de Northridge California, Espacio L / CCE, San Salvador y la Galería de Arte Contemporáneo Lokkus en Medellín. Ha participado en exhibiciones grupales en Teorética en Costa Rica, la Galería de Arte Taimiao en Beijing, así como en Miami, Nicaragua, El Salvador, Colombia y Guatemala. Recibió una mención honorífica en el concurso Sumarte en 2016 y 2014, en 2012 ganó el primer lugar del concurso de poesía IpsoFacto. PRIMARY is a multifaceted organization that explores and promotes various forms of aesthetic expression from both established and emerging contemporary artists, within the gallery context and beyond. PRIMARY works to continually expand the expectations of the contemporary art world, and to foster new, unexpected conversations between artists and the public. Gerardo Gómez (El Salvador) Self-taught. He produces drawings, paintings and mixed media artwork. Has exhibited his work in El Salvador, USA and Europe. He lives and works in El Salvador, Central America. Antonio Mena (El Salvador) holds an M.A. in Interdisciplinary Art Production from the University of Malaga and a B.A. Fine Arts from Barcelona University. He produces paintings, drawings, installations, art objects, photography and printmaking and has exhibited his work in the USA, Central America and Europe. Currently, he lives and work in Spain. Primary es una organización multifacética que explora y promueve varias formas de expresión estética de artistas contemporáneos establecidos y emergentes, dentro del contexto de una galería y más allá. PRIMARY trabaja para expandir continuamente las expectativas del mundo del arte contemporáneo, y fomentar nuevas e inesperadas conversaciones entre artistas y el público. Gerardo Gómez ( El Salvador) autodidacta. Produce dibujos, pinturas e ilustraciones mixtas.Ha exibido su trabajo en El Salvador, Estados Unidos y Europa. Vive y trabaja en El Salvador, Centroamérica. Antonio Mena ( El Salvador) tiene una maestría en Producción Interdisciplinaria del Arte de la Universidad de Málaga y una licenciatura en Bellas Artes de la Universidad de Barcelona.. Produce pinturas, dibujos, instalaciones, objetos de arte, fotografía y grabados y ha exibido su trabajo en Estados Unidos, Centro América y Europa. Actualmente, vive y trabaja en España. 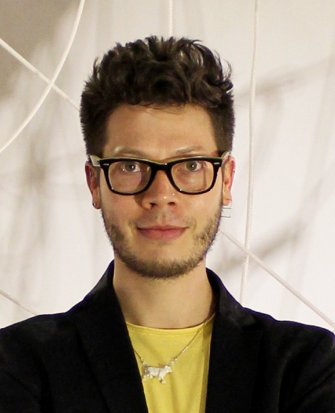 José Ruiz is a Peruvian-born artist and curator. He is the founder of Furthermore, a post-studio research, design and production lab operating out of DC and Brooklyn, and a partner and co-director at Present Co., a New York-based gallery and curatorial collective. Ruiz currently serves as Director and Faculty in the Curatorial Practice MFA Program at the Maryland Institute College of Art in Baltimore, MD. He curated the San Salvador/New York exchange exhibition Bartered States. José Ruíz es un artista y curador peruano. Es el fundador de Furthermore,un laboratorio de post estudio de investigación, diseño y producción que opera desde Washigton DC y Brooklyn, socio y codirector en Present Co., una galería establecida en Nueva York y colectivo curatorial. Ruiz actualmente sirve como director y facultad en el programa de práctica curatorial MFA en el Maryland Institute College en Baltimore, MD. Él curó la exhibición de intercambio San Salvador/New York "Bartered States". Fredy Solano - Poker (El Salvador, 1992) is currently dedicated to the production of site-specific installations and actions in public spaces. In 2016 he participated in the IV site-specific intervention prize at the Hedjuk Towers, by the City of Culture of Santiago de Compostela, Spain, and the CONTEXT art fair as part of To Jump Rope, curated by Claire Breukel, Miami, USA. He currently lives and works in Spain. Fredy Solano – Póker (El Salvador, 1992) se dedica actualmente a la producción de instalaciones in situ y acciones en espacios públicos. En 2016 gano el IV Premio de intervención en las Torres Hedjuk, por la Ciudad de Cultura de Santiago de Compostela, España, y en la feria de arte CONTEXT como parte de To Jump Rope, curada por Claire Breukel, Miami, USA. Actualmente vive y trabaja en España. The programs first visit was conducted by Madrid-based critic and curator Luisa Fuentes Guaza who visited El Salvador in November 2016 as part of a Y.ES Art Trip (pictured right). She spoke with artist collective The Fire Theory including Ernesto Bautista, Mauricio Kabistan and Melissa Guevara (picture left). La primer visita del programa fue conducida por la crítica y curadora establecida en Madrid, Luisa Fuentes Guaza, quien visitó El Salvador en Noviembre de 2016 como parte del Y.ES art trip (fotografiada a la derecha). Ella converso con el colectivo de artistas “The Fire Theory” . Ella habló con el artista colectivo “The Fire Theory” incluyendo a Ernesto Bautista, Mauricio Kabistan y Melissa Guevara (fotografíados a la izquierda).